The Chinese New Year is upon us and we’re celebrating the only way we know how, by eating our way through some of the tastiest Chinese restaurants Sydney has to offer. From high-end dining and hole-in-the-wall quick eats. From China Town’s most authentic offerings and Newtown’s top street food, Sydney is peppered with some of the best authentic Chinese food on offer. So get your noodle eating, dumpling loving, Bao gobbling selves ready to eat at our fave Chinese restaurant below. Authentic Chinese cuisine at its best! 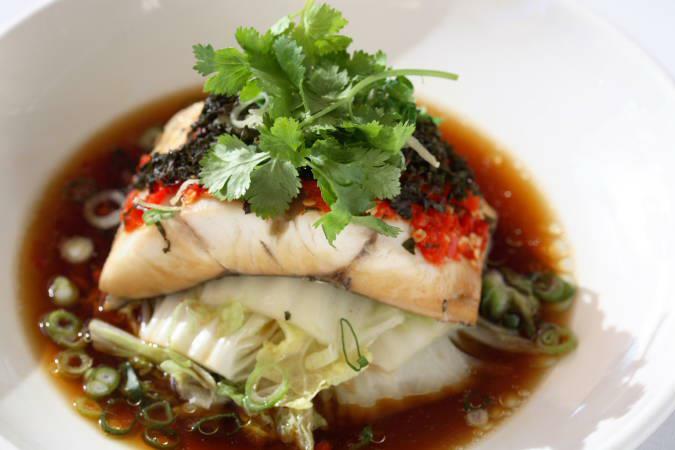 Located in Sydney’s CBD, New Shanghai offers diners a variety of authentic Chinese cuisine from the Shanghai region. For all you uncultured swine, this entails pan fried pork buns, signature Xiao Long Bao, Shanghai braised pork belly and our personal favourite, a dumpling bar. With a casual, modern and friendly dining atmosphere, well priced menu and delicious food, New Shanghai is a must-visit for lovers of Chinese food. Tip: sign up on their website and you can get free dumplings on your birthday. Happy Birthday from us to you. If damn tasty, traditional cuisine is your jam, then Golden Century is going to be your new favourite Sydney stalwart. Open till 4am in the morning - move aside late night dirty kebabs on the side of Oxford street - treat yourself to late-night fare that will tickle your tastebuds. From Peking Duck, braised mud crab, Mongolian lamb and fresh seafood - Golden Century cooks up fresh, classics like no other. Providing guests with a unique twist on Chinese cuisine, Zilver combines classic dishes with a modern flair. Incorporating Cantonese delicacies and an updated menu, with Shanghai and Chiuchow flavor, their broad range of delights, innovative menu and stylish decor aim to take you to a new level of Chinese dining. Residing on the historic Finger Wharf in Woolloomooloo, China Doll provides the ultimate Sydney dining experience. Whilst it’s more on the exy side of the wine and dine scale, it’s worth it. From the innovative menu, impressive cocktail list and tasty views of Sydney, this is the perfect spot to treat yourself on a night out. Showcasing modern takes on culinary traditions from China, Hong Kong, Japan and Southeast Asia, nearly all of our favourite dishes feature on China Doll’s menu. Our personal faves include the Penang Curry with slow braised Wagyu Beef, Crispy Pork Belly with Chilli Caramel and Eggplant & Tofu with Sichuan Chilli Bean Paste. Tasty AF. Part of the China Chilli Holding Group, Spicy Sichuan is our go to for quick, easy, authentic and downright delicious Chinese food. If you’re a lover of something hot and spicy (to confirm, we’re talking about food) Spicy Sichuan’s restaurant name says it all. Well-known for its piquant and spicy dishes, chomp down on a range of dishes each accented with, you guessed it, chilli. As one of the most recognisable dumpling haunts in Haymarket, Chinese Noodle House is a dining hot-spot amongst locals. From the plastic grapes draping the decor, to the fast service and unforgettable dumplings, Chinese Noodle House has our Chinese-food-loving-hearts. Our staple bites include that pork and cabbage dumplings and the handmade Xinjiang stir-fried noodles with beef. From the mesmerising theatre of handmade noodles being stretched and dumplings rolled behind the glass walled kitchen, to each artfully created dish from the sumptuous menu - the Chefs Gallery is unique. The gourmet delights are a mix of traditional Chinese cuisine with pan Asian influences creating a modern yet authentic collision of flavours. Famous for their noodle dishes and dumplings, don’t look past some of their more unique creations such as: Macanese mini burgers, handmade egg and spinach tofu and double steamed white fungus with papaya. Settle into the intimate and seductive surrounds of Spice Temple featuring rich red carpets and dark features that’s reminiscent of an old Chinese saloon before feasting on Spice Temples vibrant menu. Prefect for large groups, Spice Temple’s menu is designed to be shared and enjoyed banquet style. Try their signature dishes which include steamed eggplant with three flavours, spice fried chicken wings with chilli and steamed blue eyed trevalla fillet. Away from the hustle and bustle of Sydney’s CBD and the flourish of pedestrians in Haymarket, a short train ride through the inner west awaits Yang’s Dumplings. This Shanghainese dumpling Mecca in Burwood is your one stop shop for dumplings. The precious parcels of carb laden joy, are like no other. From their classic dumpling staples, pan fried dumplings and wontons, we have stuffed ourselves silly at Yang’s. With a delicious drizzle chilli oil, a plonk of peanut sauce and a hefty dose of soy sauce, we are in dumpling heave. Smack bang in the middles of Newtown’s, King Street lies one of our favourite street-eats. From the soft bun, crispy pork belly, sticky chicken wings done to perfection and the drool-worthy Golden Gaytime baos, Belly Bao never disappoints.